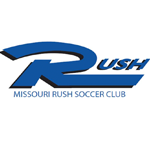 2007-2010 Girls - Wildwood RUSH is seeking a couple of higher level girl players for 2007 and 2009 teams and is likely starting a new 2009 and new 2010 team. Call for tryout dates and info. Team Manager, Jen Clark, 314-852-2114.